Macadamia is a small to medium sized tree to about 15 metres with a bushy habit. The glossy leaves are oblong in shape to about 200mm long by 100 mm wide and often have wavy margins. Flowers are white and occur in pendulous racemes up to 300 mm long, usually in winter and spring. They are often hidden among the foliage. The fruits are globular and about 25 - 35 mm diameter. They have a hard, green outer layer and an extremely hard inner shell which protects the kernel. 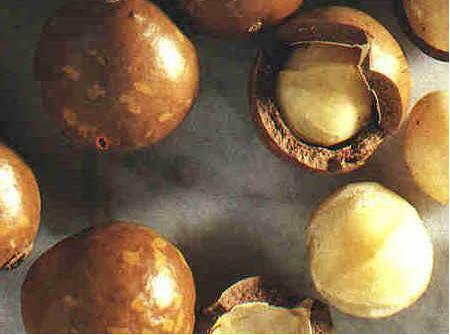 Macadamia nuts are a valuable food crop and considered by many to be the prime edible nut. Macadamia oil is prized for containing approximately 22% of the Omega-7 palmitoleic acid, which makes it a botanical alternative to mink oil, which contains approx. 17%. This relatively high content of 'cushiony' palmitoleic acid plus macadamia's high oxidative stability make it a desirable ingredient in cosmetics, especially skincare. Macadamias do best in full sun, although in hot climates partial shade can be beneficial. Windy locations should also be avoided. The brittle branches can be damaged by wind, especially when laden with a heavy crop of nuts. 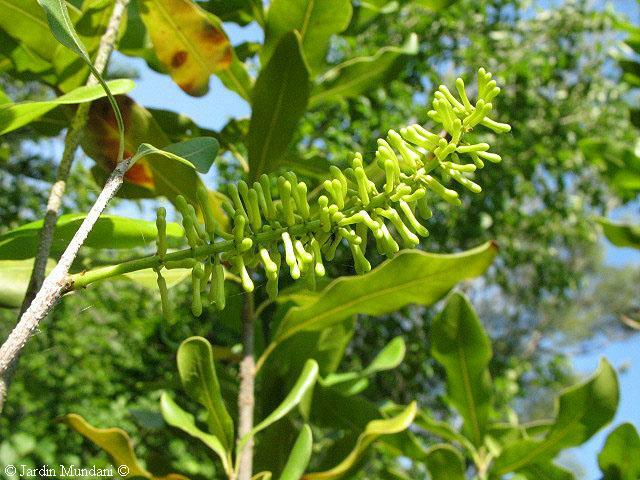 Macadamia will flower and set fruit in much cooler areas than its natural habitat. It is troubled by few pests and will tolerate moderate frosts. 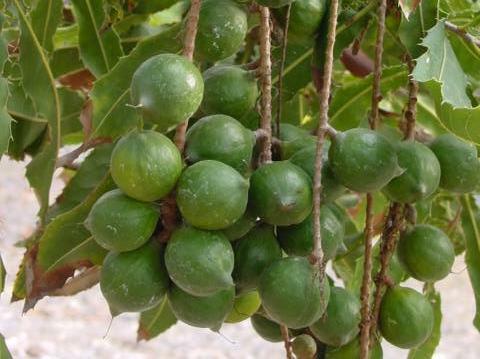 Macadamia is hardy in a range of climates and soils but prefers good drainage and humus-rich soils. They do best, however, in deep, rich soils with a pH of 5.5 to 6.5. Macadamias will not tolerate soil or water with high salt concentrations.